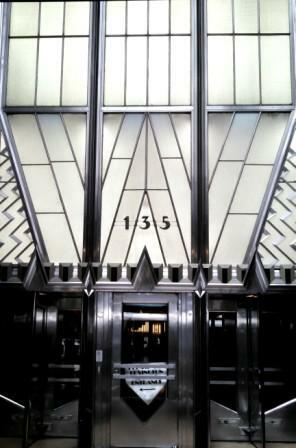 Step off the sidewalk and back in time to the glamorous Twenties. 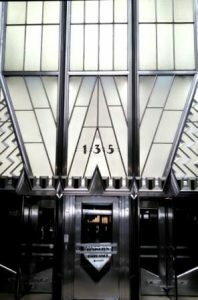 Explore the backdrop of that romantic and high living era by joining me to view magnificent period lobbies in midtown, including Rockefeller Center, the Fred F. French Building, the former Shelton Towers Hotel, the Chanin Building, and the iconic Chrysler Building. These opulent landmarks are local place markers in the chronology of architectural form. Learn about the frenzied one-upsmanship that bred the 1920’s race to build the tallest building in the world, and the colorful characters that competed in it, forever transforming the skyline of New York and creating a vivid new language of architectural style.